Academies Australasia is a leading education provider offering English language courses, Singapore Government School Preparatory courses, Diploma and Advanced Diploma courses. Established in 1908, Academies Australasia has been operating for 108 years. It has a long and successful experience in education – going back in excess of 50 years. 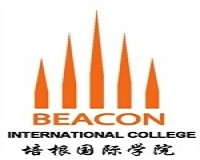 Beacon International College (formerly known as Beacon School of Technology) is a private education institution which is registered (ERF) with the Council for Private Education (CPE) in Singapore. Beacon has been approved for 4 years enhanced registration (200606284M- valid from 03/06/2014 to 02/06/2018). It is set up to provide quality education to students who aspire to pursue a career in Information Technology, Hospitality, Business or Design. Birmingham Academy Pte Ltd was incorporated on 23rd July 2003. It is officially registered, according to Singapore Statutory Requirement, with the Accounting and Corporate Regulatory Authority (ACRA). It is also registered with the Ministry of Education as a private school according to the Singapore Private Education Act in July 2003. Coleman College was established in 1987 and has been in operation for 29 years. 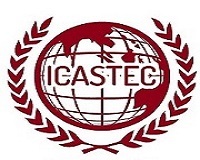 We are registered with the Council for Private Education (CPE), Singapore. Over the past 29 years, Coleman College has expanded its scope of operations to offer a wide range of education and training services to meet the needs of its students. To date, Coleman has graduated over 30,000 students from over 20 countries world-wide. DIMENSIONS International College (DIMENSIONS), formerly known as Dimensions Commercial School was founded in 1980. Today we have three campuses located all across Singapore. We have a large pool of Native-Speakers of the English Language in the School of Languages (City Campus), to offer six different levels of English Language training to serve as the foundation for all our other courses. ERC Institute (ERCI) was established in 2003 by ERC Holdings (ERC) to provide education with a difference and raise the bar in education services in Singapore. ERC Holdings was founded by a group of successful Asian entrepreneurs in 1999 to cultivate a strong entrepreneurial culture in Asia. We are ERCI. First Media Design School (FMDS) is a specialized boutique design institution, offering design, design management and design entrepreneurship programmes. It is the education arm of the First Media Group, one of Singapore’s most awarded groups in the design industry. Genetic Computer School was established in 1986 and is one of the leading institutions to promote the use of Information Technology in Singapore. 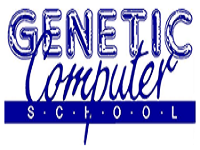 With a history of over 20 years in the field of IT, Genetic Computer School has trained thousands of graduates who are successfully employed in the various sectors of industries. Some of our graduates have ambitiously progressed to pursue their Degrees, Masters and PhD in well-known overseas universities. 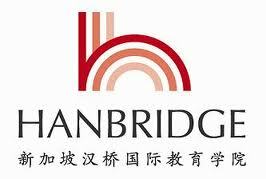 Since its establishment in 2003, Hanbridge School has grown from a one-classroom entity to an institution of excellence, proving courses from English tuition to government preparatory courses at primary and secondary levels.